Online Turf are quality turf suppliers to domestic customers, businesses and golf clubs throughout the UK. We are members of the Turfgrass Growers Association (TGA) which sets strict quality guidelines for turf suppliers in the UK. All of our turf grown from the finest seed on our own 350-acre nursery in Ormskirk near Liverpool in the North-West of England. We provide a range of turf varieties to suit your different requirements, and we only use the finest sandy soils for growing turf. 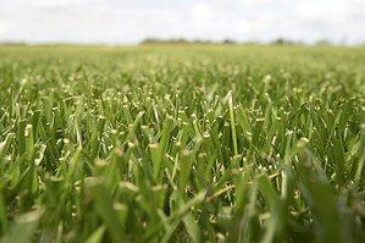 Our grass seeds are of the highest STRI-rated cultivars. We are proud to be Liverpool turf suppliers to many professional landscapers and UK golf clubs who recognise the importance of using the highest quality grass turf available and rightly demand the highest quality and service standards tailored to their particular needs. 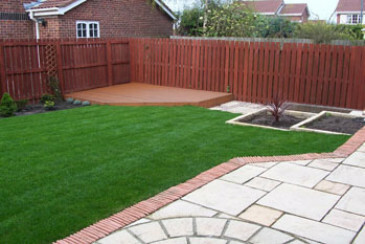 We also provide a strong and personal service to many thousands of domestic customers who have decided to use a turf supplier in Liverpool to create their own piece of gardening heaven. We are happy to help all of our customers select the right grass turf for them and to advise them on preparing their gardens and laying their turf. If you’re local to Ormskirk, you can come and pick up your turf directly from our office or alternatively you can talk to us about your options for hiring specialist lawn turf equipment to help you prepare and lay your new lawn. We provide a weed-free quality guarantee placed in the spring/summer time, so you can be confident that you’re buying top quality turf. 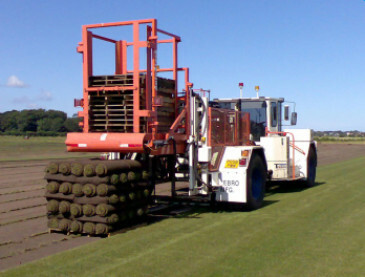 If you have any questions or if you would like more information on Turf Supplier Ormskirk at any stage, please use our contact page, email or telephone us on 01695 422144 (fax 01695 424251). We will be delighted to help you.